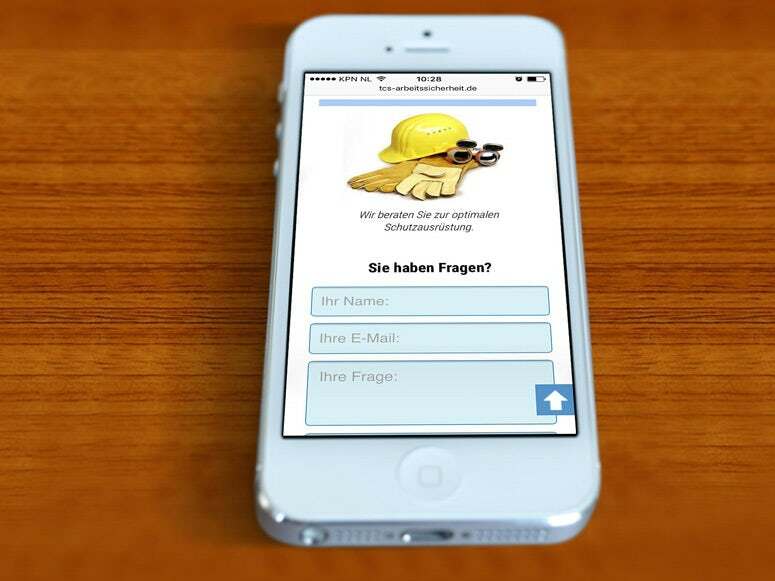 Website for safety company - Almut M.
"The collaboration with Mrs. Mueller works like a charm. Our requests are implemented quickly and reliably, and as an amateur in websites, you even get given further information in addition to that concerning your own website, such as on SEO, for example." Tim Gorenflo, Home for the elderly "St. Laurentius"
TCS GmbH & Co. KG offer occupational health and safety services to help ther customers to fulfill their legal requirements and maximize productivity and safety. 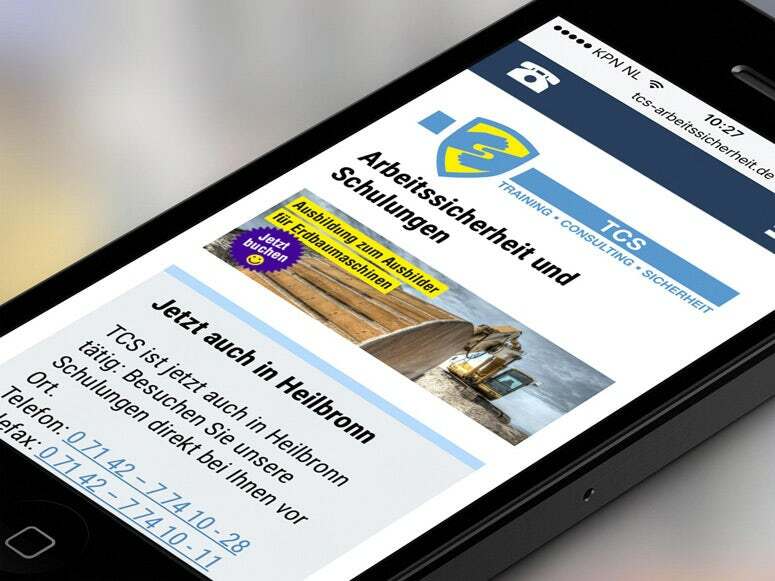 The website (tcs-arbeitssicherheit.de) of the german company provides the user with the possibility to book and pay trainings online. E.g. forklift trainings, chainsaw classes and seminars on how to execute safety instructions etc. The training offers are managed by the "Seminarverwaltung für Contao" extension for the Contao CMS. 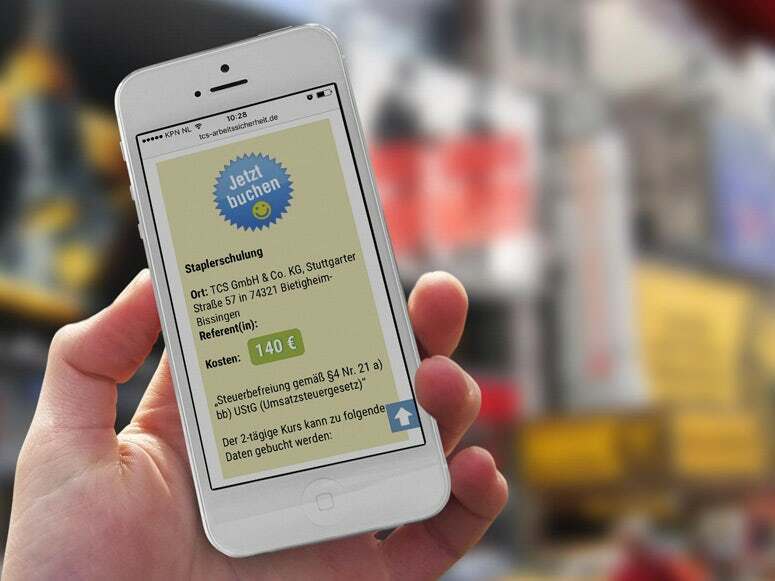 An extra Paypal module was developed for the website. The website is responsive using the Contao CMS. 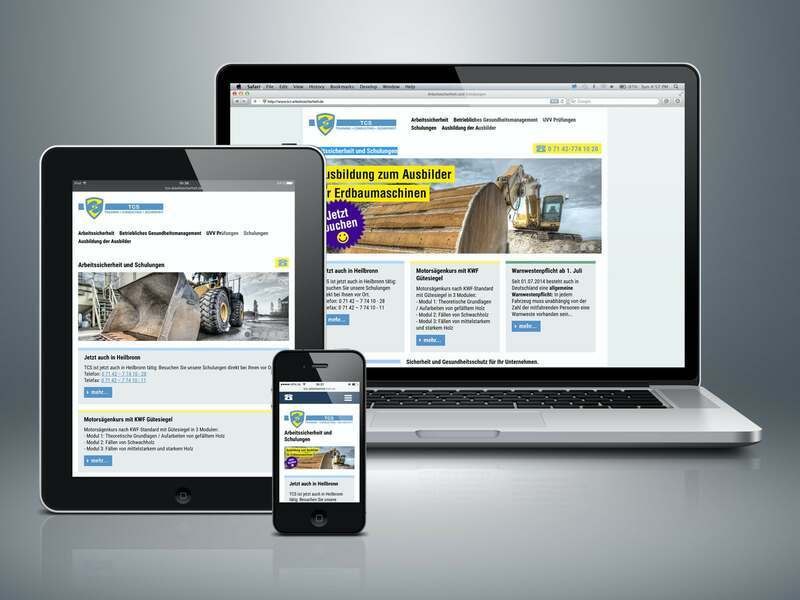 Responsive web design adapts to different screen sizes. I'm happy to help! Please fill out the form below with some info about your web design project and I'll get back to you as soon as possible. Please allow some days for me to respond.